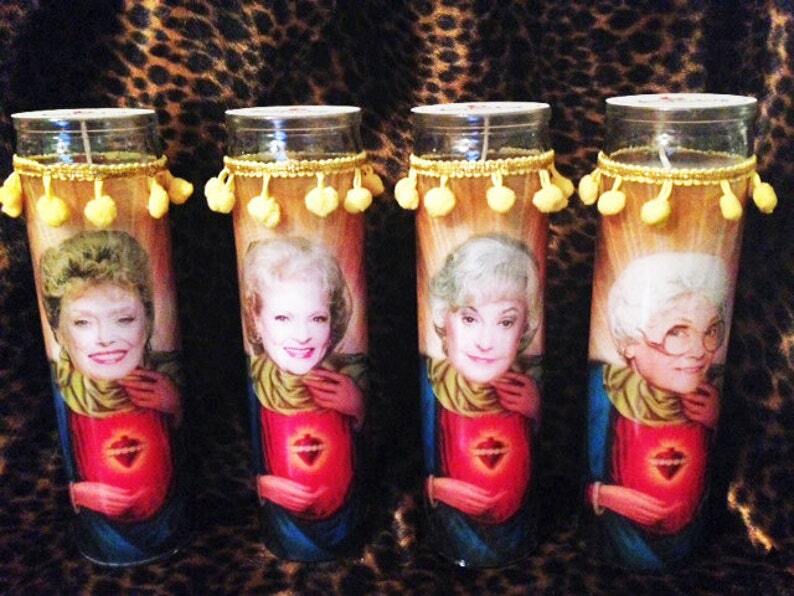 The ultimate Golden Girls Candle Set! You save by purchasing the set. For the person who has everything! Kitschy Kandles by Sugar Skull Design make fabulous gifts for light hearted people. Don't take this too seriously, our goal is to make people laugh rather than offend anyone! ***THIS LISTING IS FOR A SET OF 4 CANDLES. CUSTOM ORDERS ARE NOT INCLUDED IN THIS DEAL, PLEASE CHOOSE FROM THE CANDLES LISTED ON OUR PAGE.